a national strategy on LSR cancers. 5.2 The committee heard from a number of submitters and witnesses about the correlation between early detection, screening and diagnosis, and increased rates of survival for people with cancer. The committee also heard from people with LSR cancers, and their relatives, about their desire for early detection of these cancers. In the 1950s, the majority of cancers—that is about 75 per cent of all cancers—had a five-year survival of about 50 per cent. Only half of them were likely to live five years. Today most of these cancers have had substantial improvements in their five-year survival. There are a number of reasons for this improved survival, including increased research funding, dedicated researchers, early detection and screening programs, education of the public regarding risk factors that can be modified to reduce the risk and, of course, newly developed treatments. However, there are a group of cancers where the survival rates have not changed much at all in the last 70 years, and this is unacceptable. 5.4 Professor Eslick therefore advocated that the Australian government should focus 'on identifying risk factors, prevention and screening programs for low-survival cancers'. 5.5 The positive effect of early detection was also discussed by Dr Nicola Waddell, who informed the committee that early detection of pancreatic cancer—a LSR cancer that is 'increasing among young females'—would 'mean a larger proportion of patients can undergo surgery', which could lead to an increased chance of survival for these patients. ...how do you tell the public that if they have a pain that does not go away that they should not just take two aspirin in perpetuity but that they should do something about it? Virtually every patient who comes to us has been three or four months in the diagnosis. That is critical because that is the time when the cancer is likely to metastasise. For example, breast cancer patients with metastatic cancers do not do well; you want to understand it early. 5.7 Mr Daniel Goulburn of the Pancreatic Cancer Alliance similarly spoke to the high rates of survival for breast cancer, as well as prostate and colon cancer, and how this correlates with early detection as well as public awareness programs. Mr Goulburn noted that 'there is a general awareness amongst the general public and good education of frontline medical practitioners' of such cancers when compared with pancreatic cancer, which currently has a survival rate of 7.7 per cent: a marginal improvement over the last 30 years. CHAIR: ...I want to ask you how you feel awareness is amongst GPs and other medical practitioners. Do you feel there should be an awareness campaign for them? Mrs Shonk: It is really low. My brother was told up on the Gold Coast that he had a tropical disease even after having [Magnetic Resonance Imaging (MRI)]. When he brought the scan down to Sydney, I looked at it and went, 'That's a brain tumour.' The knowledge with GPs is very limited. My brother-in-law got sent off to the ear, nose and throat specialist. They kind of think about a brain tumour as the absolute last resort, which is kind of unfortunate because time is of the essence. I think it is incredibly poor. Mr Shonk: They do not come across it enough to know what to do. Ms Ferguson: When Leanne first presented herself to the doctor, they did not even take her blood pressure. They just gave her a doctor's certificate—gave her two in case her headache had not cleared up by the next day. In the scheme of things for GBM, a few days is not going to make the difference, but for other cancers, where people are waiting for many months to get a diagnosis, it is almost criminal. That is the problem with a rare disease. It is not only that it is rare and so a lot of the GPs would not necessarily see it very often. The other thing is that patients die so quickly and so they are not continually visiting GPs. A GP might see one patient every five years but then that patient is dead, and so there is no follow-up; there is no corporate memory there. I think that is part of the problem. This inquiry will hear a lot about laboratory research, as it should, but we could also do a lot to improve cure rates by simply identifying cancers earlier and treating them more efficiently. To do this we need to understand the blockages in our health system that prevent those things occurring. Rare cancers are particularly at risk of being discovered late because their symptoms are often vague, patients do not know when or how to report them, and GPs are often not very familiar with rare cancers or their symptoms and send patients off in different directions to get different sorts of investigations, because they are not expecting a rare cancer. Patients often say to us that they have been reporting symptoms for some time before they are diagnosed, and they find it difficult to know where to go for expertise and they find it difficult to be reassured that they are on a tried and true pathway for care. To improve this, we think there are a number of strategies that might help, requiring health services research. For example, in England and Denmark they have achieved a lot by getting health services to really focus on where the blockages are by setting targets for time to diagnosis after presentation of symptoms and time to treatment after diagnosis, and making the report of achievements against those targets public. This has worked to reduce time frames and get people to care more quickly, but we need to understand what appropriate targets are in the Australian context and how we can accurately measure those time frames. Another opportunity is to implement optimal care pathways, which have been developed by Cancer Council Victoria and endorsed by the National Cancer Expert Reference Group, NCERG. These describe key steps in a cancer patient's journey and the optimal care the patient should receive at each of those steps. We know there is variability in different jurisdictions in the pathway that patients follow, and if we were able to really enforce or encourage uptake of the OCPs we are likely to improve care significantly and reduce some of the disparities that Karen has been discussing. We need to develop implementation strategies to overcome the barriers to implementing those care pathways in different jurisdictions. We think that a demonstration project of rapid referral clinics may be helpful in this space. For example, we might take a set of symptoms such as abdominal symptoms, which are often the site where rare cancers occur, and have a one-point referral system, where GPs can refer patients with those sorts of symptoms to a clinic personed by GPs who have a particular interest in cancer and who would make sure the possibilities of a cancer are ruled out for those patients, with triaging out to specialists, if that is required. Those GPs would have a very well developed network of specialists to refer out to. We use a range of channels and platforms to present this information and to raise awareness. The Cancer Australia website would be the main one, but also through media releases, media interviews, and through various social media platforms. If I could give you a couple of examples of our work in raising awareness, with particular relevance to low survival cancers. In our work in Ovarian Cancer Awareness Month in February this year, we developed a range of resources for consumers and GPs, with a particular focus on symptom awareness—I think, Senator, you alluded to the challenges that sometimes symptoms can be quite nondescript and fairly common—so there's an important piece of work around raising awareness in the community about what the symptoms are. But also, particularly in the ovarian cancer space, raising awareness for GPs on the importance of the assessment of family history, and also appropriate referrals for ovarian cancer patients. This information was delivered through our Cancer Australia website and through social media channels. The campaign resulted in a 10-fold increase in traffic to the website. So the message is, hopefully, getting out there. Another example in another low survival cancer is in lung cancer. We have done some work in this space. We developed a video animation, What Your Cough Is Telling You, again working in that important space of raising awareness of symptoms and encouraging members of the public to be aware of what to look out for in lung cancer, and the importance of early investigation of lung cancer symptoms. There are also links on the website to risk factors, to understanding diagnosis and treatment and also for finding support. Again, with this campaign in lung cancer we have seen significant increases in traffic to the website to access this information. also through a similar mechanism, which is a high-level research and data advisory group, which also meets twice a year, we're able to bring together people who are both working at the coalface and also are policy-makers and health planners and also experts in cancer. We also work directly with a number of agencies that have mechanisms for accessing GP offices directly. For example, we place messages on the television screens in the GP clinic, and there are a number of point-of-care mechanisms also. Cancer Australia doesn't develop all of them by any means, but there are point-of-care mechanisms whereby the general practitioner in his clinic is able to access relevant information related to patient care. At Cancer Australia we seek to promote and widely disseminate information that may be of relevance at the community level and at the health professional level. We have the Supporting People With Cancer Grant Initiative, where we work with local communities. We fund them to potentially raise awareness or to provide supportive care to their communities. HeadSmart is a campaign that we launched with the University of Nottingham and the Royal College of Paediatrics and Child Health. It's an information campaign...It's about giving parents, carers and also GPs more information about the signs and symptoms of brain tumour in the paediatric population. It's split into three different groups: under-five year-olds, five- to 11-year-olds and 12- to 18-year-olds, as the symptoms can be different. But because the symptoms are very common, it's actually a combination of the symptoms that are the trigger for the referral pathway which was developed by the University of Nottingham under our funding in 2011. The information given to the carers and parents—often through schools or through nurseries and places like that—is what is really driving the diagnosis. What we are finding, though, is that the teenage group—the 12 to 18s—aren't really getting as good an outcome as the other groups. So the current delay for the 12 to 18 group is 10.3 weeks, whereas with babies it's 4.1 weeks. Obviously, some work needs to be done in that space, which is why the campaign was relaunched with different animations and different graphics as well, hopefully to appeal more to that teenage audience. A lot of the HeadSmart campaigning is done by a number of volunteer advocates—often people who have been through the situation themselves and have benefited from the HeadSmart campaign. They have found it on our website and then actually gone to their GP with the information to hand. Or there are those who would have benefited had they found it. They are often the best advocates for us to go out there and work with the healthcare professionals, the schools and places like that. We understand that GPs are very busy and that, therefore, another leaflet may not be the best way to educate them. 5.17 There is no doubt that early detection of cancer significantly improves outcomes and survival rates for patients. Significant improvements have been made to the survival rates for cancers such as breast, prostate and colon as a result of widespread public education campaigns and the availability of tests to aide early diagnosis. The public visibility of these cancers, together with the number of Australians affected and survivors who become advocates, mean that these cancers then tend to attract charitable and philanthropic support, and the majority of funding for research. These cancers are also more likely to be front of mind when a patient presents to their GP. 5.18 As evidence to this inquiry has demonstrated, the rarity of LSR cancers means that GPs infrequently encounter them and this, coupled with often vague symptoms, means that these cancers are not detected and diagnosed quickly. It is obvious to the committee, therefore, that awareness amongst the public and GPs must be improved so that patients seek medical attention and GPs contemplate LSR cancers as a cause sooner than they do currently. 5.19 The committee is impressed by the HeadSmart campaign and the in-roads it has made in reducing the time taken to detect and diagnose brain cancer in babies and young children in the UK. In addition to the valuable work Cancer Australia is already undertaking in this space, the committee is of the view that the Australian government should do more to raise awareness about LSR cancers among the public. The committee recommends that the Australian government develops and implements an education and awareness campaign based on the UK HeadSmart model to inform the public about LSR cancers and their symptoms, with a view to reducing the time taken to detect and diagnose these cancers. 5.21 The committee also urges the federal, state and territory governments to consider the proposals made by COSA, and the role that optimal care pathways (OCPs) and rapid referral clinics could play in improving detection and diagnosis of LSR cancers. 5.22 In order to maintain their registration, doctors in Australia are required to undertake ongoing education and professional development, recognition that '[t]he practice of medicine is a constantly evolving field' and so that doctors 'maintain and further develop their knowledge and expertise'. Certain elements of this ongoing training are compulsory (for example cardio-pulmonary resuscitation (CPR)) while others allow 'general practitioners (GPs) to self-identify priority areas of general practice learning needs in accordance with their personal, patients and community needs'. Continuing professional development (CPD) offered by the Royal Australian College of General Practitioners (RACGP), for example, includes courses in vaccination, sexually transmitted infections (STIs), skin cancer, addiction, clinical emergency management, and managing complex pain. 5.23 The committee considers that detection and diagnosis of LSR cancers could form part of this CPD. The committee appreciates that the rarity of LSR cancers means they infrequently present to GPs; however, GPs play a vital role as often the first point of medical contact for a patient with an undiagnosed LSR cancer and it is essential that GPs are sufficiently skilled to identify a LSR cancer as a possible diagnosis early. 5.24 The committee therefore recommends that the Australian government works in collaboration with the medical profession via the RACGP and Australian Medical Association to improve awareness of LSR cancers amongst GPs, including through CPD. 5.26 Data collection and population level information about cancer in Australia impacts on research undertaken into LSR cancers. The committee heard that data collections on LSR cancers in Australia are not as good as they could be, and received a number of suggestions about improvements that could be made in this respect. ...which is a database of all new incident cases of malignant cancers since 1982. It is all cancers not including non-melanoma skin cancer. So we already have detailed data on all new cases of cancer. That covers the number of people who have the cancers. We are also able to bring in information on the deaths from those cancers and can do extensive analysis, including survival analysis, for people with various types of cancer. So there is detailed data there. If there is further information that is required, that could always be looked at to see if that could be included in some form. 5.28 However, the committee heard that the Australian Cancer Database only contains data within 'a defined scope', and consequently, data required by a researcher may not be available through this database. For example, the AIHW noted that it has data available 'on non-malignant tumours of the brain (and other parts of the central nervous system) for those diagnosed at any age' but only from Victoria, Queensland, Western Australia and Tasmania, and the Australian Paediatric Cancer Registry—a national cancer registry that specialises in data on cancer in children—contains 'diagnosis data from all jurisdictions, but only for those ages under 15 at the time of diagnosis'. 5.29 Mrs Tricia Berman of the Brain Tumour Alliance Australia (BTAA) opined that Australia 'cannot afford' this approach anymore, noting that 'countries such as the US, Canada and the UK register all [brain tumours], so that is helping, in terms of analysing that data as a researcher, to see what options are available for future treatments'. Further, Mr Philip Steel of BTAA stated that even though it is known that there are 1600 malignant brain tumours recorded in Australia per year, 'we do not really have any idea about how many benign brain tumours there would be, and there is really no way to gather that information'. 5.30 The CSIRO noted that much of the data collected by the AIHW had, until now, been administrative in nature, which required 'researchers to infer clinical utility from the data'. However, the CSIRO considered that the current capturing of clinical data in the Electronic Medical Record and Electronic Health Record means 'that more clinical data is being captured, which if made available, would greatly increase the ability of Australia’s medical research community'. Registries are an important part of Australia’s health data landscape. At a state level, health jurisdictions are required to maintain various registries for public health, such as state based cancer registries. In addition, various clinical groups have developed disease specific registries, such as the trauma registry or prostate registry. In the case of mandated registries these typically contain a minimum data set and it is a legal requirement to submit this information. In the case of clinical registries, these are typically more detailed but are not mandated and will not capture all cases in Australia. The linking of data from different data collections to these registries can add significant value. In the case of the cancer registries, the linking of treatment and outcome data provides a more useful set of data for clinical research. Until you identify what causes them, you cannot prevent them and you certainly cannot treat them....You get information, but you need to be conducting large, prospective studies on people and asking them nitty-gritty questions about: 'What do you think caused your cancer? What has your work been like? What do you eat on a daily basis?' I believe that the majority, probably 98 per cent of cancers, are due to environmental factors, and the remainder are probably due to genetic factors. Some of those environmental factors may switch genes on and off. I think, primarily, unless you can identify these factors, we are sitting in a position where these gentlemen are correct: in 100 years, survival rates for these low‑survival cancers have not changed. It is a disgrace. As a researcher, you get a bit shirty when you see all this funding going to breast cancer and colon cancer and other cancers that now have really good survival rates. You think, 'What about the rest?' I think it is time for a change. 5.33 The Cancer Council Australia (CCA) and COSA raised concerns about the accessibility of research data due to articles being 'hidden behind paywalls' as well as 'delayed release [of research data] by long embargo periods'. ...what researchers are wanting to do is prioritise those high-value collaborations with institutions that have the capability and capacity to do that. I think there is undoubtedly that appetite. We see in our organisation, and I am sure in Karen's as well, the existence of collaborative institutions coming together with combined research applications to our organisation, and I am sure others, including [the National Health and Medical Research Council (NHMRC)] as well. I think the appetite is certainly there. ...ensuring that all federal government departments and agencies, as well as cancer research centers [sic], and universities, that fund cancer research are required to adopt and implement open access policies that require knowledge to be openly licensed and freely-available without restrictions or embargoes. 5.36 A biobank is a facility that collects and stores 'various clinical samples, such as blood and tissue from consenting patients for use in medical research'. Biobanks are 'widely recognised as valuable resources for biomedical research' and can improve 'the prevention, diagnosis, treatment and ongoing management of diseases, including cancer'. A range of submitters and witnesses therefore advocated for a national biobank, particularly for brain cancer. Senator BUSHBY: Coming back to the tumour tissue, you talk about how valuable it is and about keeping it for research purposes. We also heard earlier that there have fairly recently, I think, been full DNA profiles on tumours. Senator BUSHBY: If you do a full DNA profile of a tumour, is that all the information you need, or are there still advantages in keeping the tissue for other purposes? Just take us through that. Dr Bunt: You want as much tissue as possible which is not necessary for the standard care. Whatever the pathologist does not need is really a source of important information. There are different kinds of tissue preservation methods. We have the pathological tissue, in paraffin, which you can use for looking at the morphology of cells. Indeed, recently people have done a lot of profiling of the DNA, which has changed our whole view about tumours that we thought were just one tumour type; they are actually two or sometimes three different tumour types, or just one but representing differently. We also—and you see that in a lot of big laboratories around the world—want viable tissue, tissue which is still alive. Prof. Richards: Removed from the brain. Dr Bunt: Yes, because we can use it for xenografting models. That is when you take the tumour and transplant it to a mouse so you can use it for either basic research on understanding how this tumour behaves or drug testing—preferably, in the long term, maybe even models where you can test drugs for a patient on a mouse model with the same tumour. If the patient then has a recurrence, we know what drugs might help. So there are multiple levels there. But what you see is that the groups that really changed the landscape in our understanding of brain tumours are big groups, and they are collaborating. You need a lot of material from different tumours to really make a difference. Because they are so different, you need at least hundreds of the tumours to really find what they have in common and what makes them become the tumour they are. So that is very important, and you see that countries that have a longstanding culture of archiving and preserving this kind of material now have an advantage, because they have this material ready to go and a lot of information about the outcome for the patient. We need research that is done by physicists and also mathematicians who are applying algorithms to try to understand how tumours are able to progress and invade the tissue around them'. 5.39 The QBI therefore recommended 'the establishment of a central brain tumour tissue bank' which would provide 'timely access to the tissue needed to develop tumour models'. The Australian Government is well placed to facilitate the integration of these resources through initiatives, such as the [Coalition of Australian Governments (COAG)] National Cancer Work Plan, so that the national capacity is greater than its parts and to create a truly international competitive research environment with the highest levels of patient care. 5.41 Dr Bryan Day, Team Head, Translational Brain Cancer Research Laboratory at the QIMR Berghofer Medical Research Institute (QIMR Berghofer) and Professor David Walker described current collection of brain tumour tissue as 'ad hoc'. This is because there are a number of complexities around the collection of human tissue, including the way it is used and stored, issues of ethics and consent, and other patient information gathered. ...there is a lot of tissue which is lost in certain steps, because we have a lot of different hospitals, both private and public, a lot of different pathologists and a lot of different neurosurgeons and because there isn't the awareness that we can use this for basic research. Sometimes it is lost because it is not stored in the right way or the pathologist releases the additional material a little bit too late for us. In our case, because we really want to xenograft it, there is a time limit. We would like it straightaway from the surgeon—within 15 minutes into a mouse. Brain Cancer Biobanking Australia...is trying to coordinate brain cancer tissue banks across the country to create a single large virtual biobank to get the sorts of numbers we need for proper studies. I do note that the National Research Infrastructure Roadmap which was recently produced by the federal government did indicate that networked biobanking was a research priority for the government. I would also like to emphasise the role—the often forgotten role—of pathology and pathological diagnosis in the treatment of these tumours...In many cases, the role of the pathologist is often overlooked. I think, particularly with the government funding models, the role of the pathologist is not supported. I would point out that many of the tests we are now required to do to comply with the latest WHO classification of brain tumours are not Medicare rebatable, so either we have to absorb the costs, the referring doctors absorb the costs or the patients have to pay out of their pockets. In Sydney, many of the large departments will absorb those costs, so we will charge back to the referring hospital. However, I am concerned that in rural and disadvantaged areas there is not that sort of money, so patients are asked to pay and they baulk, and so in fact their diagnosis may not be adequate. I would put it to you that for any decent treatment you need to know what you are dealing with, and that is the role of the pathologist. Just the other week a large multi-institutional study from the United States was published on the pathological diagnosis of brain tumours. They examined 1,500 brain tumours and identified a serious error or misdiagnosis rate of close to five per cent when tumours were diagnosed at a local institution. I think every tumour patient would want their tumour tissue which is being removed to be used for research purposes. I think that it would be more beneficial to have an opt-out process whereby the patient, if they decided they did not want to have their tissue used for research, would opt out rather than having to opt in, because that is just an extra step of consent that has to go through. In general, I would say the human ethics is a very, very long process to get approved at the moment. We have the ability to perhaps share with the groups in Europe or in the US, but we would have to de-identify that information. But the ethics of trying to get the ability to even share the de-identified data is very complex, especially at an international level, let alone at a national level. I am not kidding. It can take a year, 18 months, to get one ethics approval at the moment. Senator BURSTON: Could it be part of the consent form for an operation? Prof. Richards: It should be. It really should be. But here, again, we need the buy-in of the clinicians. We desperately need the full buy-in of the clinicians. We have had some supportive clinicians in Brisbane, who made it opt out rather than opt in, and that helped a lot. ...for tissue banking to work, you need to enrich the samples with clinical information. You need to be able to continually follow up the patients, see how they have progressed, and find out what treatment they received and how well they did, because that will inform the samples and the research that is being done on the samples too. ...poorly regulated and lags well behind many other countries. Specifically, a current lack of biobank oversight means that the numbers of biobanks that currently exist in Australia, how most of these biobanks operate, and whether they are effectively supporting Australian research by performing at internationally-accepted standards, is not known. Already there are multiple tissue banks currently in Australia with different goals and different ways—what kind of material they have and do—so the start is already there, but you have to have local nodes. It would be good when there is just one consensus, both from the researchers and the clinicians, about a concept, so everybody is aware that a clinician cannot say, 'I didn't know that I could provide this tumour,' because it is a standard concept within the clinical environment. There is no doubt that a national tissue bank would really help a lot. It will be expensive. Obviously, you need a person there at midnight or whenever the surgical procedure is going on. You literally need somebody there holding the tube while the neurosurgeon removes the tumour and then bringing it back to the bank, processing it and making sure it gets to us as fast as possible so we can then put it into culture or put it into a mouse or whatever. It is not easy. It is complicated to set up a tissue bank. If the money was not an issue and we did it blanket across every type of tumour, or all the rare types of tumours, and things like that, I think that it would provide a resource for researchers that could be amazing long-term. It is just that every time I have seen someone try to do that, they will get funding for one year or two years or five years, and at the end of it, they have not had enough time to then provide those samples to the researchers, or they have to shut the doors and then what do they do with the samples? There needs to be a look at, if we are going to do something to the level, a commitment for 20, 30 years at least with the infrastructure built in. You need to have buy-in from the public and private sectors, and that is where it gets difficult. So in the private sector, I can physically go into theatre and stand there and collect the sample, but in the public sector it will not work that way. ...the problem is the samples that they have stored [at UQ] are half-brains from motor neuron disease, Parkinson's disease and things like that. To store their samples would cost us approximately $50,000 a year just in electricity. If there were a large resource, it would be great to bring in the little ones like that and provide them to researchers. There is one case over there where four members of the same family all have different types of dementia. Those sorts of samples would be so useful to researchers, but like I said, the actual money involved to bring all those samples across would be a lot. ...we need an increased awareness of the importance of research in the clinical setting. Hospitals should be made aware of how important it is to have research trained doctors leading their clinical groups. Obviously we need doctors that also focus only on patient care, but the heads of departments, for example, should be trained in research so that they can make sure that that department also contributes to the research effort to cure that disease, no matter what disease it is, not just treat the patient. That is of the utmost importance—I do not want to undermine that at all—but we should be in the process of preventing disease, preventing these tumours from ever happening, and we need to understand why they occur in order for that to happen. It is trying to involve our hospitals somehow. I was not kidding when I said maybe you need to look at the Medicare rebate and whether or not you actually tie that to the hospital, embedding research in that setting. ...is undertaking an initiative which aims to strengthen national data capacity through the collection, transfer, collation and the reporting of standardised national data on stage, treatment and recurrence (STaR) for all cancers. 5.55 Importantly, the initiative 'is being undertaken in collaboration with relevant Australian Government departments and agencies, and state and territory governments and their population-based cancer registries'; and, according to the government, 'will address the lack of national data on the severity of cancer at diagnosis, which treatments are applied, and the recurrence of cancer after treatment'. 5.56 The committee welcomes this important initiative and urges the Australian government to implement it as a priority, given how important clinical and population level data are to medical research. The committee reiterates the importance of Australian cancer data collections being complete and, aided by technological improvements in both data collection, management and analysis, the committee recommends that the Australian Cancer Database is expanded to capture all cancers, including benign tumours of the brain and other parts of the central nervous system. 5.57 In doing so, and acknowledging consultation already underway with federal departments and agencies as well as state and territory governments, the committee also recommends that the Australian government consults with medical researchers to identify what data (for example, clinical and lifestyle) data must be included so that the Australian Cancer Database is a valuable and useful resource to them. 5.58 The committee also recognises that expanding the data set collected will require the consent and cooperation of patients and clinicians. The Australian government must collaborate with its state and territory counterparts to address current barriers to data collection, and consider ways in which data collection can be mandated, standardised and streamlined across Australia, in both public and private health settings. Biobanks are enablers across a range of medical, agricultural and biodiversity research. Integrating existing tissue and environmental biobanks into collaborative networks linked to the research community, ensuring the ability to collect, store and analyse high quality useful research data will provide significant improvement in research effectiveness. Linking established biobanks into a national network of central tissue repositories will turn an under-utilised product into a more valuable research resource. Under a national system for collecting and biobanking human tissue samples, standards for data gathering and sample curation would assist in the sharing of materials and would foster collaborations. Inclusion of genomics, proteomics and metabolomics data with health, lifestyle and clinical data, will magnify our ability to develop new diagnostics and therapies. While the necessary institutional processes are in place in the network of natural history museums, herbaria and seedbanks, medical biobanking is fragmented. Australia would also benefit from a population biobank. A population biobank has unique value for population genomics and research into the causes, prevention and treatment of disease. Other countries have well established population biobanks that provide infrastructure for public health research...We should explore building on existing capabilities to move towards a national biobank network. 5.61 The committee fully endorses this position and urges the Australian government to give serious consideration to implementing a national networked medical and population biobank that includes tumour samples and relevant clinical and lifestyle data associated with each tumour sample. 5.63 Advances in genomic medicine and molecular biology, particularly the identification of biomarkers, are paving the way for 'personalised medicine' and immunotherapy. 5.64 Genomics is the study of the genome; genomic medicine is the medical discipline that uses and applies genomic information to a clinical setting, such as managing a patient's condition or disease, and informing decisions about their care. In cancer genomic medicine, genetic testing may be able to identify the type of cancer, the heritable risk for a cancer, or a targeted treatment of a cancer. 5.65 A biomarker is a naturally occurring molecule found in blood, other body fluid or body tissue that can be a sign of an abnormal process or of a condition or disease. A biomarker may also be used to determine how well the body responds to a particular treatment. The genome is the complete set of genetic information we inherit from our parents, and which determines every aspect of health and susceptibility to disease. Genomic research has given us a new understanding of the interplay within the genes, throughout our whole genetic landscape. Precision or personalised medicine is the future for all cancer treatment, but will have its greatest impact for ‘rare’, high-mortality cancers. Genomics is essential to precision medicine. More funding is needed for clinical research that brings the potential of genomic medicine to the challenge of ‘rare’ and lethal cancers. ...as we have progressed in genomics, we know that ovarian cancer is not just one disease; it is a group of different types of cancer, each with different cellular appearances and each with different molecular characteristics and different trajectories. New evidence, for example, has revealed that 50 per cent of ovarian cancer comes, in fact, from the fallopian tube and then spreads to the ovaries. ...brings together researchers and clinicians to translate research findings into the clinic. The program utilises the sequencing capacity of the Garvan Institute of Medical Research to identify more effective treatments for cancer patients, as well as to understand and exploit heritable cancer risk. MoST squarely addresses the challenges of engaging individuals with less common cancers in clinical research, taking advantage of the principles of precision medicine. Eligibility for participation in clinical trials available as part of MoST is completely independent of the 150-year old classifications that arbitrarily divide cancers according to where they arise in the body. Once a cancer has spread, its site of origin is less important for patients than understanding what makes the cancer ‘tick'. MoST trials personalise experimental treatment based on an individual’s unique personal and cancer genetic profile, and in so doing neutralise the disadvantage of ‘rarity’. MoST offers a new kind of clinical trial of treatments targeted to the genomics of patients with high-mortality cancer and unmet clinical need. Until recently, clinical trials were generally used to test a new treatment, with some patients getting the new drug and the others getting an existing drug or placebo. The MoST protocol tests multiple treatments at the same time and all participating patients receive a treatment. The advent of personalised medicine means that treatment is guided by the genetic make‑up of the patient and their illness. First, all patients, and their tumours where possible, are genomically screened to see if they are suitable for a trial and if there are biomarkers that can guide the treatments that can be trialled. These ‘signal-seeking’ trials are looking to see if a treatment will work, or work more effectively than another treatment. The MoST protocol looks to understand how targeted therapies work and find new biomarkers that can predict which patients will benefit from these treatments. Other biomarker-guided treatments outside MoST. All participants, including those with no ‘actionable’ biomarkers, will be informed of the results of the screening of their tumour tissue through their own doctors. MoST researchers are looking to find biomarkers that can predict which patients will benefit from specific treatments targeting the immune system and to better understand how immunotherapies work to fight cancer. With this knowledge, the team aims to develop a more precise approach that tailors treatment with immunotherapy to individual patients based on the characteristics of their immune system and its interactions with tumour cells. The immunotherapy trials will allow us to understand how these immune biomarkers influence the anti-tumour response and help develop a precision immunotherapy approach where treatment can be personalised. ...committed $27.5 million from the [Medical Research Endowment Account] to support the International Cancer Genome Consortium (ICGC) between 2009 and 2014. The ICGC is a confederation of members (mostly key funding agencies in major countries) that agreed to work in a coordinated and collaborative manner to characterise a minimum of 500 unique cases for 50 different cancer types or subtypes that are of the highest clinical and societal importance across the world. The aim was to obtain a comprehensive description of the full range of genetic events associated with these tumour types and make the data available to the entire research community as rapidly as possible, and with minimal restrictions, to accelerate research into the causes, diagnosis and control of cancer. The $27.5 million grant was awarded to Professor Sean Grimmond (Institute for Molecular Biosciences, University of Queensland). This funding supported two large Australian-based projects to characterise ovarian and pancreatic cancers. The ICGC has now evolved into ICGC medicine (ICGCmed) that will link genomics data to clinical information, health and response to therapies. 5.72 In speaking to this funding grant, Dr Elizabeth Johnson of the Victorian Comprehensive Cancer Centre (VCCC) informed the committee that it 'allowed Australia to go to the forefront of pancreatic cancer research in particular'. ...is now leading genomic approaches particularly in pancreatic cancers. Australia is now a world leader on that, with that allocation of funding for a specific purpose for a limited amount of time having seeded something very significant that has now put us at the forefront of research in pancreatic cancer genomics. So there is precedent for it to happen that way. $25 million in funding for a Targeted Call for Research (TCR) into Preparing Australia for the Genomics Revolution in Health Care (for funding commencing in 2016). The aim of this targeted call was to support research that will provide evidence and information that could be used to help prepare Australian policy and practices for implementation of genomic information into health care. NHMRC sought to fund a single, multidisciplinary, nationally focussed grant through this TCR. The funded application supports a national alliance of clinicians, researchers, health economists and policymakers to evaluate the case for clinical genomics across inherited disease and cancer, and to determine how best to deliver this to the patient and to train a capable workforce. ...the Genomic Cancer Clinical Trial Initiative to provide [National Cancer Cooperative Trials Groups] with expert advice and technical services relating to the collaborative development of genomics-based clinical trials protocols. From 2013 to the present, this initiative has led to the development of 17 new concepts for genomics-based clinical trial protocols across multiple cancer types, including a multicentre, randomised study specifically focussed on new treatment approaches in rare cancers. Recent advances in genomics have increased our understanding of cancer at the molecular level, leading to new approaches to diagnosis and treatment. Genetic sequencing technology has enabled cancers to be re-classified based on a specific tumour mutation (or mutations) rather than the site of origin of the cancer. This has led to the development of genomics-based clinical trials that test a therapy or combination of therapies targeted to the mutation across multiple cancer types, and can provide important insight into the effectiveness of targeted treatment interventions. Genomics-based clinical trials present opportunities for patients with low incidence cancer types to join...larger clinical trials based on the genomic profile of their cancer, rather than its site of origin. Most international countries of any ilk have large, stratified medicines programs independently funded outside basic science routes, which is the NHMRC or even the [Medical Research Future Fund (MRFF)]. They have large precision medicine programs in the US, as well as institutional ones. In the UK you have got Genomics England, a genomics centre in Scotland and there is even a genomics centre in Wales. In Australia I think we are a little bit behind there. And there is a genomics centre in Kuwait as well, I believe. The amount of genomic genetic testing available on the [Medicare Benefits Schedule (MBS)] is absolutely minimal, and what there is, is usually tied to a particular drug. So we have nothing in our armamentarium to provide diagnostic tools. We get no reimbursement for that. Indeed, should we try to make a proposal through the [Medical Services Advisory Committee (MSAC)] process for some of the tools that we require, we can't fulfil the requirements because the evidence base is so small. So for example, when you want to do a generic platform and apply it to multiple tumour types—because you are looking for a genetic change, as opposed to a particular tissue stream—you are not able to do that whatsoever, which is very disappointing. 5.79 Recognising that Australia lags behind in some aspects of genomics, the CCA and COSA advocated for 'new, longer-term and more flexible funding grants...to enable the development and maintenance of equipment, technologies and other large-scale research infrastructure such as biobanks and genomics services'. 5.80 Roche explained that '[b]y looking beyond the "site" of a cancer to its molecular biology and understanding the true complexity of the disease, we can find solutions that work for both common and rarer cancers'. The CBCF observed that '[o]ver the past few years we have begun to see the importance of biomarkers in cancer control', and advocated for using biomarkers 'whenever possible to provide another layer of important information for both clinician and patient...[which] has the potential to result in better targeted treatment and better health outcomes'. At present detailed characterisation of individual patient tumours is available only in a research setting. While common genetic alterations such as mutations in the IDH gene are routinely tested as part of pathology, further analysis is not made available for the vast majority of patients – clearly limiting the ability of the treating team to potentially tailor treatment to that is best for the patient. The correlation of this is that this may alter survival rates adversely. I do recall Leanne was offered a particular blood test when we first moved to the Gosford healthcare system. I cannot recall exactly what this test was for, whether it was looking for genetic markers or methylation status of the tumour—I just cannot remember—but I recall we were told it would not be refunded through Medicare and that we would be out of pocket about $350 for doing it. Leanne asked the doctor how would her treatment be done differently depending on the results of the test, and we were told that there would be no change to her treatment regardless of the results. This made us think, well, why would we pay $350 for a test that is not going to help her—so we did not do that one. In retrospect, with the benefit of hindsight and with a better understanding of the circumstances in which these doctors are working, I now believe this test was not offered to help Leanne but was offered instead to help future patients. It was a way of giving the doctors additional information—an extra variable to add to the mix to help them make decisions about future patients who might share the same characteristics as Leanne. So I guess we were being asked to pay for information that was essentially adding to what is known about brain cancer. We were being asked to pay for this ourselves because no-one else was paying for it. I do not begrudge doctors learning from patients—indeed, with rare cancers I believe we must learn something from each and every patient—but for that cost to be borne by the patient or their family when brain cancer already places the heaviest financial burden on households and has the highest per person lifetime economic cost, it is simply wrong. If there is a blood test or a suite of blood tests that that could provide some of the missing jigsaw puzzle pieces, then surely we owe it to our loved ones, if they are willing, to do these tests and for them not to have to pay for them. At the very least, why couldn't the cost of these tests be covered by Medicare? 5.83 The CBCF also advocated for the reimbursement of biomarker testing. Clinical trial design for cancer medicines is providing real challenges to the reimbursement process, it is exceedingly difficult for the newer cancer agents to prove cost effectiveness against the older cytotoxic agents. This is primarily due to one of the key reimbursement criteria being the requirement to demonstrate cost effectiveness against the comparator, defined as the treatment that is most likely to be replaced in clinical practice. However with the rapid emergence of new cancer medicines, the treatment landscape is rapidly evolving and as such, the appropriate comparator for the purposes of evaluating cost-effectiveness may not be known at the time the trial is designed for the assessment of safety and efficacy. This poses a problem because it is quite likely – and most often the case – that the appropriate ‘main comparator’ nominated within a reimbursement submission is not the comparator(s) of the Phase III clinical trials. It's challenging in that it's tempting for companies to say, 'This drug works better for this smaller group of patients,' and then they can get a better price for the drug, so then they don't go and examine these other patients whom it may benefit. It's challenging in that those same markers may be just predictors of a tumour which is going to behave well or behave badly anyway, so they may be a prognostic marker: if you've got that, your tumour's going to do better or your tumour's going to do less well. And then we give you this drug and, lo and behold, you seem to do better compared to the others, but actually it's related to the biology of the tumour itself. If you believe the hype at the moment, you would think we were there, that we could characterise tumours on the basis of some form of genomic mapping or some sorts of markers, and we'd be able to choose just the perfect drug for you. Unfortunately, while there are many promising aspects of this, we are still quite a substantive way away from where this is likely to be widespread. ...that uses certain parts of a person's immune system...to fight cancer. Immunotherapies are thought to work by slowing the growth and spread of cancer cells, and by helping the immune system destroy existing cancer cells. ...result in better disease prevention and more accurate diagnosis of disease. Personalised medicine could also use knowledge of the way specific genes work with medicines to tailor more effective treatment of disease for each individual. 5.89 During the course of the inquiry, both the immunotherapy and personalised medicine were identified as important areas of development in the treatment of LSR cancers, and a source of hope for LSR cancer patients and their families. Immunotherapy in other diseases has become quite revolutionary. Diseases like melanoma, which typically had a poor prognosis, are actually seeing great improvements in survival. Melanoma is a solid tumour, just as brain cancer is a solid tumour. We understand that there are significant differences, but we are looking at a number of activities to look at immunotherapy of all different types in brain cancer. Some of the results are promising. It is not quite as exciting as melanoma yet—we have not really cracked that—but there is definitely evidence to suggest that it is an area worth considering. We funded an international project with 160 researchers coming together to talk about this based in Arizona State University. All the researchers were from all over the world and from top institutions. The protocol was written and submitted to the FDA, and we thought it was quite ambitious. The FDA came back and said, 'Be more ambitious. This is the future of drug development. We would like to see treatments developed around the disease, not by the pharmaceutical company.' So this would act as a platform. Rather than companies like Pfizer or Roche running their own trials, this would be done by a number of pharmaceutical companies at the same time. Also, rather than going from a phase 2 trial to a phase 3 trial, which could take six years, this would compress the phase 2 and phase 3 trials, reducing it down to a couple of years. So you can see it would reduce significant cost, reduce significant time and, also, act as an incentive for biopharmaceutical companies to get involved in the area. provide further support to survivors who face financial constraints, such as counselling services and return to work programs. greater awareness among oncologists of the TGA’s provisions for special access. the entirety of benefits from newer medicines need to be valued including not just health system, longevity and quality of life impacts, but also productivity and other impacts on patients, carers and society. Data should be captured in trials. Innovative trial designs are being explored to support access to treatments for rare diseases, where it is not feasible to conduct randomised trials. Studies known as “basket studies” look at a patient group with a mix of tumour types that have common biomarkers, rather than conducting studies in each tumour. However, such studies are not currently accepted as an evidence base by the Therapeutic Goods Administration, the [PBAC] nor the [MSAC], although they are more acceptable by EU and [US] regulators. There needs to be further discussion on the role of these types of basket studies when making decisions on access to treatments for rare diseases, especially as there is some excellent research currently being conducted in Australia using these types of trial designs. 5.95 Advances in genomics, molecular biology, personalised medicine and immunotherapy offer hope and the possibility of innovative and effective treatments for LSR cancer patients. Australia is well served by so many passionate and committed medical researchers in these fields, who work tirelessly and without widespread recognition, and who have to endure the vagaries of uncertain funding streams. Supporting their efforts is vital if improvements are to be made to the survival rates for LSR cancers. 5.96 The committee hopes that the recent changes to the NHRMC's funding model will see genomics and other research into personalised medicine and immunotherapies funded over periods that enable researchers to substantively progress their work. The committee expects that its recommendations in relation to data and a national biobank will also assist medical researchers and support further advances. 5.97 However, the committee shares the concerns of NSWOG Neuro-oncology, the Peter MacCallum Cancer Centre and others that Australia is lagging behind comparable countries in its support for genomics and provision of routine genetic testing of LSR cancer patients. The Australian government should ensure ongoing funding for genomic research, through organisations such as the Kinghorn Cancer Centre. The government should also consider reimbursing LSR cancer patients for genetic testing, via the MBS, both to contribute to scientific understanding of these cancers and also to assist in the identification of personalised treatment for LSR cancer patients in the future. 5.100 The committee acknowledges the government's implementation of some of the recommendations arising from the medicines and medical devices review (MMDR), in relation to the TGA's approval processes, and its commitment to implement others (see chapter 2). The committee welcomes the reduction in regulatory barriers for the supply of certain unapproved therapeutic goods and expedited review of 'vital and life-saving prescription medicines'. The committee urges the TGA to implement the other recommendations, particularly the provisional approval pathway that will provide earlier access to new medicines without a full dossier of clinical data but where there are potentially substantial benefits to Australian patients. 5.101 Further and with respect to the use of clinical trials based on biomarker rather than tumour location, and having an immunotherapy approved for use and listed on the PBS, the committee believes it is essential that the TGA and PBAC (re-)examine their assessment processes and the appropriateness of those processes for innovative treatments for LSR cancers. The committee finds it unacceptable for a "one size fits all" approach to be applied to the assessment of innovative treatments, such as immunotherapies, for LSR cancers when it is clear that the existing approaches are ill-suited to these treatments and no improvements in survival rates for these cancers have been made. Put simply, if it is acceptable for European and American regulators to adopt more flexible and innovative approaches to assessing immunotherapies—including approval or acceptance of novel clinical trial protocols—the committee sees no reason why, pending a (re-)examination of TGA and PBAC assessment processes, more flexible and innovative approaches should not be adopted in Australia. 5.103 The committee heard that in some instances, there are medicines available that may assist in treating LSR cancers, but that these drugs are approved for use in Australia for a different indication or are not approved and available for use in Australia at all. Equity of access and the availability of medicines via the PBS was also discussed during the course of the inquiry. This approach takes drug molecules which have already been designed, developed, characterised and tested for safety and efficacy in humans and applies them to a new formulation, method, or target. It is estimated that most safe-approved drugs will possess secondary indications for use in another setting. This will be a time and cost saving endeavour. There are numerous examples for drugs currently in use which were originally developed to treat a different illness. 5.105 A number of other submitters and witnesses also supported the repurposing of drugs approved for other indications as potential treatments for LSR cancers. RCA remarked that '[t]here are many opportunities to repurpose existing drugs from common to rare cancers, but we need evidence and flexibility'. The way that I mostly do it is that they will develop a drug, say, for breast cancer or lung cancer, that we believe might have utility in brain cancer, but they are not interested that because the finances do not make sense as it is rare, so we will work with them to get some of the drug and maybe a little bit of money, and develop the background and do the preliminary experiments in the test tube and animal models to give them the confidence to move forward with that drug in this space. So, it is through partnerships with them. They can come to the groups like the [BCDC] and see that we have the ability to take their drug through all of the tests and evaluations they need to do to be confident to move it forward into brain cancer. That is certainly one thing that we are very focused on and have done in the past, but we still need the basic research to know the companies to approach that have the right drugs that might be effective. ...at Garvan, there is a trial being run by Professor David Thomas which looks at analysing the genetic make-up of tumours and then trying to define treatments from existing drugs. There is so much opportunity in this process to repurpose. We have got a whole arsenal of drugs on the shelf here, but we just need to go through—they may have been developed for breast cancer, lung cancer or bowel cancer, but, if we are really clever about it, we can run trials, test them and, we might find...that the drug that was developed for lung cancer is ideally suited...We need to do work in that area, and David Thomas has set up a trial that, like all research, is hard to fund, but it is an example of what is possible. I think that there are differences between a drug that's still on patent, and therefore being driven by a company and their ability to make profit, and one that's off patent. There was a bill that was put to parliament to bring about an easier way of taking those off-patent drugs forward, but that didn't make it through. There are currently discussions around putting that bill forward again. I think that when we're talking about a drug that's effectively a cancer drug for a different cancer type and moving that into brain or pancreatic, and when that's under patent by a company, then, as charities, we have a role to play in helping the company facilitate that, because the company still has the barrier of the investment versus the return, and we don't have that barrier. So we would like to be able to work more closely with companies and access their drugs to be able to do those trials. There are continuing to be discussions around that. I personally feel that the industry is becoming more open to those approaches. I think there's just some work to do to maybe make them easier still. The off-patent drugs are a challenge, because this will have to be funded through charitable or not-for-profit organisations. Personally we don't have any problem with a researcher bringing us those sorts of applications. Whether or not they would ever become licensed is the problem, because then the question would be: who would actually submit for the licence application? I think that that's where we need to make some changes to allow that to be an easier thing to do and also to give some indemnity for that person. For example, as a charity, we wouldn't be able to bring a drug to market, because of the potential risks to the charity were that drug to be found at a later stage to be harmful. Big pharmaceutical companies will not start a clinical drug trial for a rare disease where there are not many, but they will do anything to be able to sell more. Actually in Europe there are a few initiatives where, for instance, if they actively seek to repurpose drugs for rare diseases, they can keep their patent for a couple of months longer or have an advantage over competitors. 5.110 Equity of access to medicines for patients with LSR cancers as compared with patients with more common forms of cancer was also the subject of discussion during the inquiry. In particular, submitters and witnesses highlighted that some drugs are available via the PBS for patients with certain cancers, but not for LSR cancer patients, or have been approved and are available for use overseas but not in Australia. 5.111 For example, Ms Ferguson explained that her partner, who suffered from neutropaenia as a result of chemotherapy for brain cancer, was not entitled to the same treatment as those patients with breast cancer and neutropaenia. There is no known diagnosed treatment for this on the PBS, but there is a version of lung cancer that is also caused by that mutation. Through a process of initially paying for the medicine through our crowdfunding service and then, subsequently, through us and her clinician, lobbying the pharmaceutical companies, she is now on a compassionate program for those drugs. 5.114 Mrs Evangeline Lim, a lung cancer patient, described her 'constant fear that I will run out of treatment options, let alone be offered a cure'. Mrs Lim described herself as lucky that Xalkori, a targeted treatment, is available to her, but also told the committee that 'America is more advanced as far as pills and treatments go' and that three other treatments have recently been approved in America, but are not available in Australia. It is no small coincidence that government research funding into rare cancers remains disappointingly and disproportionately low, as does the money we spend on treatments for these patients through the Pharmaceutical Benefits Scheme. These two are closely related, as research generates evidence to justify PBS funding, and it is a direct consequence that the drugs are not listed on the PBS; it is a lack of research. The PBS requires evidence of cost-effectiveness. I always describe it like this: imagine that the only way you would decide what car you bought was on the basis of fuel economy. The decisions the PBS makes are not entirely but largely driven by improvement in survival for a cancer patient. If the current drug gives you three years and the new drug gives you four years, you have an extra year, so the cost related to that is balanced off. And that is regardless of what the side effects are. There is no measure of the side effects; there is no measure of how many times you are hospitalised or anything like that. The second part of that is that you have to look at the pharmaceutical industry, and, for a patient population of 30 or 40 in Australia, there are two restrictions: one is, do they have any evidence at all and have they run a trial on that? And secondly, putting in an application to the PBS is a big job. As a charity, we applied to list two drugs last year so we understood the process. Aside from the financial investment, they have a team of people whose job it is to make applications to the PBS. If I were running that team, sitting there, I would say: do I make an application for this drug here, which might be melanoma or breast, which will give me thousands of potential uses, or do I make it for Merkel cell carcinoma, which is going to give me 300? I only have a certain number of hits. So we need to think about how we make that a bit easier...one of the things we have thought about is: can we make it so that they can apply for several at the same time and bundle them up to make that process more efficient? With the co-dependent submissions...the patient would first need to be tested for a particular biomarker and then, provided that the patient has a particular biomarker, then they would qualify for treatment with the drug. That is called co-dependent submissions or co-dependent products in Australia. The challenge we face with those types of products is that we have the test which is funded through a separate committee—MSAC. And then we have the drug that is funded through a separate committee, the PBAC, which we are all familiar with. And the process of integration between the two is problematic. The process needs to start early, especially on the test site, and that is where it takes almost twice as long as for the drug, because we need to start the process very early on, sometimes when we do not even have some data in order to be able to go through the process. It is the interaction between those two committees. They do not meet at the same time. There are complexities associated with putting forward the health economic arguments. There is an expectation around certain types of evidence which does not happen overseas. That type of information might not necessarily always be available in the clinical studies. 5.118 Professor Fox of the Peter MacCallum Cancer Centre stated that the applications to PBAC and MSAC—which are submitted simultaneously—are 'out of sync', and recommended that the delays in the process could be assisted by aligning the committees, such that they communicate with each other more. Professor Fox also suggested that the PBAC and MSAC be merged into a single committee. implements a framework for a managed entry scheme for diagnostics used in co‐dependent technologies, similar to what has been in place for pharmaceuticals since 2011, to enable access to patients whilst more conclusive evidence is being generated. 5.120 Similarly, Medicines Australia advocated for streamlining 'the evaluation and decision making process for co-dependent medicines', on the basis that 'medicines for rare or low survival cancers often rely on the use of a diagnostic to identify the appropriate patient population'. 5.121 Professor Wilson, Chair of the PBAC, emphasised the importance of '[f]it-for-purpose clinical trials that inform [PBAC's] decision-making', and noted that where an international trial takes place, 'we don't understand how they work within the services which are available within Australia', and 'the treatment plans and treatment approaches for some of these tumours may vary within the Australian context'. 5.122 Professor Wilson also stated that, in order to list a drug on the PBS, '[w]e would certainly want to see the evidence from a trial', noting that '[i]f a drug's going to be used and promoted broadly in the community then there needs to be substantive evidence that it works and not just, "You might want to try that"'. The decision about the listing of Filgrastim and the other variations on the same drug were based on the cost-effectiveness. So patients develop [neutropaenia] at different rates, depending on what chemotherapy regimes they happen to be on. There are chemotherapy regimes which have high and low rates of [neutropaenia]; there are ones which have very low rates of [neutropaenia]. The original approval for the drug would have been based on the regimes which caused the higher rates of [neutropaenia] in relation to that. Having said that, we are currently in the process of negotiation around an extension of that, so I can't say any more about it. But we have been approached to look at that more broadly and are currently working on that. 5.124 The committee applauds the research of institutions such as the BCDC and the Garvan Institute investigating whether certain drugs already used in the treatment of more common cancers, and even other diseases, might be repurposed for use in the treatment of LSR cancers. 5.125 The committee believes that institutions such as the BCDC and the Garvan Institute should be supported to conduct further research into repurposing existing drugs. Consistent with its other recommendations, the committee recommends that the Australian government ensures that funding is available to researchers investigating whether existing drugs may be suitable for treating LSR cancers. 5.127 The committee also notes the approach in Europe where pharmaceutical companies that actively seek to repurpose their drugs for rare conditions are able to extend their patent or have an advantage over competitors. The committee therefore recommends that the Australian government works with industry to consider a mechanism to repurpose drugs appropriate for the Australian context. 5.129 There may be circumstances in which an existing drug is found to be an effective treatment for LSR cancers, but because it is off-patent or the patient population is so small, it is not financially attractive or clinical evidence is insufficient for a pharmaceutical company to seek TGA approval. The committee is aware that there can be serious implications for clinicians and patients, with respect to adverse reactions, indemnity and insurance, of using drugs 'off-label' and that off-label use must be approached with caution. However, the committee heard from some medical researchers and clinicians, and many patients (or their families) that LSR patients with no other treatment options should be afforded the opportunity to access off-label drugs. Indeed, as Mrs Sandra Woods told the committee: '[i]f you are diagnosed with a fatal illness, you have got nothing to lose. You will die anyway, no matter what you try. Trying is doing something; it is fighting back'. 5.130 The committee cautiously agrees, and recommends that consideration is given to permitting off-label access to drugs for LSR cancer patients without further treatment options, on compassionate grounds. 5.132 The committee is concerned by the apparent inequity of access to some treatments for LSR cancer patients via the PBS. The committee understands that pharmaceutical companies may make financial decisions not to seek PBS listing for medicines to treat rare and LSR diseases, and that the PBAC's evidentiary and cost-effectiveness requirements mean that many drugs for rare and LSR diseases will not obtain PBS listing if sought. However, it is unacceptable that LSR cancer patients should be left without access to treatments which are available to other Australian cancer patients or people in foreign jurisdictions. The committee has already recommended that the TGA, if necessary, and the PBAC (re-)examine their approval and assessment processes for innovative treatments for LSR cancers; the committee makes the same recommendation with respect to the repurposed drugs. 5.134 With respect to co-dependent submissions requiring MSAC approval of a diagnostic test or tool and PBAC assessment of a drug, the committee agrees with the proposals that these processes should be better aligned and streamlined. 5.135 The committee has already recommended that the Australian government considers listing genetic tests for LSR cancer patients on the MBS; where a treatment for LSR cancer is dependent on a genetic or other diagnostic test, the committee recommends that the Australian government considers whether the MSAC and PBAC processes can be streamlined so that assessment and approval is not unduly delayed. 5.137 A number of submitters and witnesses expressed their frustration and disappointment about difficulties accessing care and support services, such as care co-ordinators or nurses and welfare payments. 5.138 The committee heard from a number of submitters and witnesses that being diagnosed with a LSR cancer can cause patients to feel isolated and unsupported. QIMR Berghofer suggested that this is a consequence of the rarity of the cancers, such that '[t]hey are not common enough to justify specific support services at all centres', despite the fact that such care is important, regardless of where patients live. 5.139 For example, Mr Tim Eliot recounted the problems that he experienced with respect to receiving information about research and treatment options, including that '[t]echnical documents supplied post-surgery, such as pathology reports, often have little explanatory or interpretive information beyond what is provided verbally', and that there are '[i]nformation gaps in how to access and best use available care and support services, including Cancer Council; Allied Health; Public/Private cancer care choices'. We have pretty much no help. As soon as we leave Sydney we are on our own. We see our local GP, who I cannot fault, though she is not a specialist in the field at all. It is only when we go to Sydney every three months that Caleb gets the support and help that he needs. We are desperately crying out for Caleb to be able to see a psychologist right now. After everything that has happened to him, he has terrible nightmares, terrible dreams, and it is impacting his life quite a lot. We cannot get in to see a psychologist in Port Macquarie at all. We are screaming out. We just cannot get into one. So he only gets mental help when we go to Sydney, and that is not good enough. He needs help and he cannot get it. 5.141 Ms Dianne Dunn, who lives 45km from a major regional town and was diagnosed in November 2016 with an inoperable brain tumour, shared a similar experience. Ms Dunn outlined a number of difficulties that she faced with respect to her diagnosis, such as her inability to easily seek a second opinion about her initial cancer diagnosis, and suggested that such difficulties could be addressed by '[p]roviding greater access to those in regional areas to support services – transport to treatment, accessing second opinions'. There is very little support in the community beyond tea and sympathy for those with Atrial Sarcoma. Compared to breast cancer sufferers, we are stumbling about in the dark attempting to find information and support services. My family and I have dedicated many hours over the past four years to researching different scientific based treatment approaches and whom to approach for up to date information. – something that we finally feel we are making some headway with. 5.144 Indeed, a number of submitters and witnesses raised the issue of care co‑ordinators/ nurses, as outlined in the following section. 5.145 Many people with a LSR cancer or their family members expressed their disappointment about the lack of specialist care co‑ordinators or nurses, calling for more of these positions, a sentiment supported by organisations and medical professionals. Virtually zero. There aren't any. The one care nurse that they have in the North Shore hospital is half-funded by Ramsay Health Care; the other half is funded by SNOG—the Sydney Neuro-Oncology Group. For breast cancer—I think I am right—they have about 90 care nurses, and some of those patients have a lumpectomy as opposed to a mastectomy. Brain cancer is so much more insidious; it goes on so much longer and it is so much more debilitating. The inequities are just mind-boggling. Our hospital offers a dedicated lung cancer [Multi-Disciplinary Teams (MDTs)] which aims to improve patient care and outcomes through the development of an agreed treatment plan. As a specialised Lung Cancer Nurse Coordinator I am involved in the nursing care of our patients with lung cancer in all treatment areas and am an integral part of the MDT. I am an expert point of contact for our patients, providing both psychosocial and clinical support. My experience after 14 years in this field is that supporting patients with lung cancer to receive coordinated care is not only the best way to care for them but is also greatly appreciated by our patients, their families and carers. Without her our journey through the public hospital system would have been chaotic, confusing and demoralising. With her gentle and caring approach, she has guided us from the first operation all the way through to the multiple neurosurgeon appointments, and bridged the gaps between the various departments of the public hospital on our behalf. Any questions we had, she, time and time again, found the answers. Due in large part to the nurse care coordinator, my partner has received the best care we could ask for as a patient in the public health system. 5.149 However, the committee heard that there are only a small number of these nurses available relative to the number of people who suffer from LSR cancers. For example, in 2016, when 12 000 people were diagnosed with lung cancer, the Lung Foundation Australia reported that there were 29 dedicated cancer care co‑ordinators/lung cancer nurses in 60 MDTs in Australia. Mrs Sandra Woods noted that '[t]here is one online dedicated NETs nurse for all of Australia where there are over 10,000 known NETs patients'. ...gives a patient access to a registered nurse (via telephone or video) who can help them access all available local services, understand clinical trials that are available to them, and be a [single], central point of support for as long as the patient needs them. 5.151 The CCDR informed the committee that it had piloted the program in pancreatic cancer over the past 12 months, and is currently testing its transferability in brain and ovarian cancer. ...the McGrath Foundation has worked hard to raise funds to support Breast Care Nurses who offer a range of support for breast cancer patients. This type of support would greatly assist brain cancer patients to negotiate a complicated and daunting treatment pathway which includes surgery, radiation therapy, chemotherapy, medications (such as dexamethasone) and to explore potential side effects. 5.153 The BTAA noted its financial support for brain cancer nurses/care co-ordinators and other brain tumour allied health professionals, and also supported the calls of patients 'for better access to brain cancer care coordinators', on the basis that 'they play a critical role linking patients with treatments and with clinical trials, as well as assisting them to navigate the medical system following diagnosis'. Specialised cancer care coordinator nurses create efficiencies in the system by freeing up other specialists and can assist with recruitment to clinical trials. As suggested previously, while there have private and private/public models to provide specialist nurses for cancers such as breast, prostate and some others, we are calling for equitable access for all Australian cancer patients with a poor prognosis. This is the area in which I think we have the opportunity to make the single, most immediate, impact on survival of brain cancer patients: through care coordinators. Over the last few years most of the dedicated brain cancer care coordinators have given way to more general care coordinators covering a number of cancers, who then become preoccupied, sheerly because of the numbers of other types of cancer sufferers. In fact, I think there are only two dedicated care coordinators in New South Wales. We can look at the model of breast cancer as a cancer where care coordinators have made a great impact on survival. I think the care coordinators are even more important to brain cancer sufferers, because of this impact on the family and the resources consumed. There is evidence that cancer care coordinators improve patient experiences. It's a difficult, challenging time, and there are lots of care pathways to navigate. Coordinators can help in that information transfer and stitching things together for people. You'd probably be aware that there are cancer care coordinator positions in jurisdictions across Australia which recognise that need to streamline patient care and help support patients across the journey. For the majority of cases, those coordinators are employed, and sometimes receive specialist training roles, through state and territory governments. They're usually nurses who are experienced in cancer care. 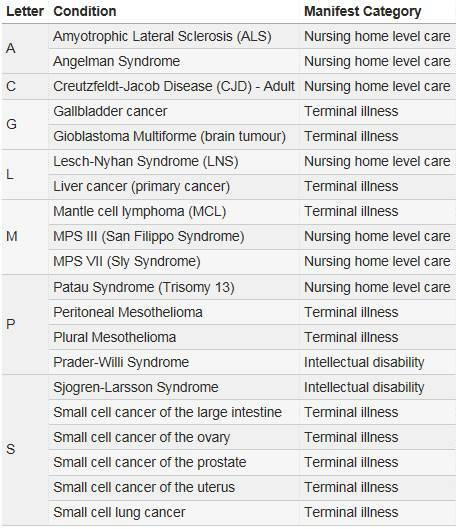 Some are tumour specific and many are not. The role of those cancer care coordinators varies according to the area in which they're employed, the tumour types and the complexity of patient care needs. Metropolitan cancer care coordinators are generally based at a single institution, often a cancer hospital big enough to have coordinators for the care of patients with just one tumour type, though that's not always the case. Cancer care coordinators in rural areas tend to have to cover a number of tumour types and are often more community based. The overall shortage of nurses is an issue that the Australian health system is facing. In a workforce shortage situation, you need to balance the need for more general nursing positions against increased numbers of nurses for specific roles like cancer care coordinators. 5.157 The DoH informed the committee that the Australian government 'makes a small contribution' to cancer care nurses 'by funding a certain number of the McGrath Foundation's breast care nurses and a certain number of the Prostate Cancer Foundation of Australia's prostate cancer nurses', which the department acknowledged are, incidentally, cancers with the highest rate of survival. ...in the context of the total number of cancer care coordinator positions in Australia, it's a fairly small contribution, and that states and territories, because of their responsibility for public hospitals and cancer centres, are generally the employers of [the nurses]. 5.159 In contrast to the situation in Australia, the committee heard that in the UK '[t]here are clinical nurse specialists for high-grade [brain] tumours...that coordinate the care of the individual'. These nurses 'will make sure they are getting access to physio and allied health professional services'. 5.160 In respect of pancreatic cancer in the UK, the approach is that 'each person should be assigned a clinical nurse specialist once they've received their diagnosis to help them navigate the system' through the National Health Service, although some patients are not assigned a nurse as 'it is a role that is in fairly short supply'. 5.161 In addition to the absence of support co-ordinating their care, the committee heard about the out-of-pocket expenses facing people with LSR cancers, and the challenges facing patients and their carers trying to access financial support. Yes, definitely support, and also subsidies of the medication, the MRIs and those sorts of expenses. Usually it is the major wage earner that is hit. You are hit with all these extra expenses. Obviously research is key, but those other things would also help with the suffering that many people face when they have someone in the family with a brain tumour. I am still unable to return to work. I was the main income earner in our family, and there is no possible way that I can return to work. We still have to come to Sydney every three months for the next four years, and that is a massive financial impact on us, with travel costs and accommodation. When I was filling it out it was very much directed at what I thought was an autistic child, high functioning, along those lines. There was nowhere in the form where I could tick that Caleb had cancer and had neurological problems as a result of the surgery, he was in a wheelchair, he was going to get sicker than what he already was and he was going to require this and that. The questions were was he suicidal, did he get up and walk away from his bed at night, did he need to be restrained, was he at risk of leaving the house? He was not at risk of any of that because he could not walk—he could barely even talk at this stage. I could not tick 'yes' to the boxes that they wanted ticked. A friend of mine heard my plight and she got onto our local MP, after he had been knocked back twice, and at the same time I was trying to get onto a social worker from Centrelink to ask what it was that I needed to do, saying that we needed help here. She said we needed to be ticking the boxes that yes Caleb is suicidal—you need to be making a worst case scenario, otherwise it will not get approved. So I ticked the boxes and at the same time the local MP got involved, he rang the office and lo and behold it was approved that afternoon. It was ridiculous. I had all the letters from the specialist stating what the diagnosis was, what the outcome was, and what we were looking at happening, but I could not hand any of it over. I had to tick the boxes, but it is hard to tick the boxes when the boxes are not aimed at cancers. In my time caring for my wife the most frustrating task was trying to deal with Centrelink, Medicare, ATO, banks and numerous other institutions. Whilst trying to do the best for Caroline I was having to spend up to two days every week on the phone or waiting for my name to be called at these places and often sent away because another piece of paperwork or information was required. Most cannot return to work, and even those on higher incomes often have mortgage and family commitments. The need for constant supervision also impacts on the spouse, children and often elderly parents. Studies have documented the stress in caregivers for this cancer is often higher than the patients themselves, but treatment programs and research rarely extends to the unpaid volunteers and the long-term impact on children is unknown. Family and carers face the emotional turmoil of being told their loved one is unlikely to survive and have to confront the daily fear of seizures and the challenges of both cognitive deficits and personality change, all compounded by financial stress. 5.168 Dr Rachel Harris, the daughter of a man with brain cancer, argued that the Disability Support Pension (DSP) and the carer's pension 'need to be streamlined'. 5.169 Indeed, there appears to be limited access to the DSP for people with LSR cancers. Following a simplification of DSP assessments from 1 July 2010, a person who has a terminal illness or profound disability is eligible for fast-tracking to prevent these claimants being 'unnecessarily referred for a Job Capacity Assessment and provide them with financial assistance more quickly'. 5.170 A 'manifest grant of DSP' can be made when a claimant is diagnosed with one or more of the conditions listed in Table 7. There are other conditions, listed on the Department of Social Services website, where a manifest grant of DSP can be made when a claimant is diagnosed with one or more of the conditions; undertakes additional action (such as confirming the stage of disease or establishing the prognosis and/or level of care required); and provides evidence that the claimant 'is clearly qualified for DSP'. 5.171 Evidence before the committee demonstrates the benefits to patients of cancer care co-ordinators or nurses and the support they provide. The availability of such support has resulted in improvements to survival rates for those with some cancers, such as breast or prostate cancer. 5.172 Submitters and witnesses to this inquiry have argued that the benefits to patients with LSR cancers may be even greater, given the complexity of their care and the current lack of co-ordinated care and support. 5.173 The committee does not wish to suggest that the level of care and support provided to those with cancers with higher survival rates, such as breast or prostate, should be diminished, and the committee in no way criticises charities that have raised awareness about and provided support for patients with these cancers. Indeed, the committee applauds the work of organisations such as the McGrath Foundation for the incredible work they do and the support they provide. However, it is disappointing that LSR cancer patients do not have access to the same care and support. The absence of specific care and support through specialist cancer care co-ordinators or nurses further exacerbates existing inequalities for LSR cancer patients and hinders improvement in survival rates for these people. 5.174 The committee is particularly concerned that the Australian government, via the DoH, appears to only provide financial support for cancer care co-ordinators for patients with breast and prostate cancer. It should not be left solely to charitable organisations to fund and establish specialist cancer care co-ordinators and nurses for LSR cancers: raising awareness and funding can be difficult for these charities because the cancer they represent is so rare and, tragically, very few patients survive long enough to become advocates. It is also unacceptable that LSR cancer patients should have to rely on charities to receive adequate care and support, given the potentially inconsistent and uncertain flows of charitable and philanthropic funding. 5.175 The Australian government should examine how it allocates funding for cancer care co-ordinators and ensure that LSR cancer patients have access to specialist cancer care co-ordinators and nurses. In doing so, the Australian government should work with its state and territory counterparts to improve access to specialist cancer care co‑ordinators or nurses in every state and territory. The committee expects that the provision of this care and support will make tangible improvements in the survival rates for LSR cancer patients. 5.177 The financial costs to LSR cancer patients can be large and this can place an immense burden on them and their families. It is concerning that people who are already vulnerable and fighting for their lives are further burdened with loss of income and the financial stress of large medical bills. 5.178 In the first instance, the committee is of the view that the Australian government should ask the MSAC to review the criteria for reimbursement of ongoing diagnostic tests such as MRIs. Given this testing is not discretionary but used to determine disease progression and treatment options, the committee believes it is appropriate for such ongoing diagnostics to be reimbursed. 5.180 The government should also address the barriers and time delays encountered by LSR cancer patients and their families when seeking financial support such as the DSP or the carer allowance or payment. As the committee has already highlighted, burdening LSR cancer patients and their families with unnecessarily complex administrative processes and time delays—especially where a person has a terminal diagnosis and time is precious—is inappropriate. The committee therefore recommends that the Australian government further simplifies and streamlines the application processes for LSR cancer patients and their carers when seeking to access the DSP or carer allowance or payment. 5.183 The final section considers a proposal for a national strategy to increase survival rates for all LSR cancers in Australia. 5.185 Subsequently, the National Cancer Expert Reference Group (NCERG), jointly chaired by the Australian and Victorian governments, was formed, comprising 'senior representatives of all jurisdictions and peak stakeholder bodies ([COSA]; [CCA]; Cancer Australia; and consumer representation)'. ...a suite of initiatives, focused on providing appropriate, efficient and well coordinated care for people affected by cancer and their families, from diagnosis through treatment and support to the management of follow-up care and survivorship. b) improve the practical support available to patients, their carers and families so that they can better navigate the complex cancer journey. b) agreed capability frameworks for cancer services with defined linkages to primary care, regional cancer services and specialist tertiary teaching hospitals, and the promotion of safe, high quality cancer care by agreed role delineation for cancer services, specific tumours and sub-specialties to optimise outcomes. b) the implementation of new research findings, evidence-based treatment and care, commencing with the national adoption of the NSW Cancer Institute’s eviQ database as an easily accessible, consistent, on-line, point‑of-care treatment resource for cancer health professionals. Focus on actions that require national coordination rather than those that can be achieved by one level of government alone; build upon existing jurisdictional cancer plans and enhance the current investments made by all governments within reasonable timeframes. Be underpinned by best-practice cancer research and optimal, evidence‑based cancer treatment and supportive care. Recognise the fiscal outlook facing all governments and the difficulty of funding significant new activity, and focus on high-impact and achievable actions. 5.190 Cancer Australia spoke to a few of these components, but did not refer to the Plan itself. For example, in respect of the 'supporting people with cancer' component, Cancer Australia informed the committee that it works with local communities, funding them 'to potentially raise awareness or to provide supportive care to their communities'. In 2016-17, NCERG will consolidate work undertaken to date in implementing the National Cancer Work Plan and continue to provide a crucial forum for coordination of cancer policy and control at a national level. The focus in 2016-17 will be on implementation of the [Optimal Cancer Care Pathways] and working with jurisdictions to encourage their uptake. This work will contribute to consistent cancer care across the country that maximises efficiencies and builds on the considerable recent investment in cancer infrastructure by all governments. 5.192 The committee received no detailed information from the DoH or the NHMRC about how the Plan responds to LSR cancers. We are aware of several of our States which have produced comprehensive Cancer Care Plans with stakeholder/consumer input. We are also aware that Cancer Australia has a National Cancer Care Plan and has allocated several initiatives to its [NCERG] one of these initiatives is “Evidence-based care for lung cancer - better lung cancer care - led by Cancer Australia.” Whilst this initiative is comforting it is not what the AGITG [Consumer Advisory Panel] considers a comprehensive National Cancer Research Plan which should, inter alia, include specific research requirements for “low survival cancers”. 5.194 Indeed, as discussed further in a later section, a number of other submitters and witnesses called for a plan or strategy to specifically address the low rates of survival for LSR cancers. ...aims to double survival rates of people living with brain cancer over the next 10 years, which hasn’t changed significantly in the past 30 years. In the long-term our goal is to defeat brain cancer through world-wide collaboration. ...is underpinned by a research roadmap developed by Australian and international experts in brain cancer treatment and research, and those affected by brain cancer, their advocates and philanthropic interests. 5.197 The Mission will be administered by Cancer Australia, which will be supported in this work by a Strategic Advisory Group. 5.198 The minister noted that one of the key objectives of the Mission 'is to ensure every patient, adult and child in Australia has the opportunity to participate in clinical trials'. To achieve this, the government will provide $50 million to the MRFF, which will be supplemented by $20 million from the CBCF and $10 million from the Minderoo Foundation's Eliminate Cancer Initiative. The government will also dollar match 'every donation up to $50 million' to support the mission. The government expects to 'announce the remaining $20 million in the coming months'. 5.199 The '[p]rioritised first investments include the establishment of an Australian arm of the GBM AGILE, an international adaptive trial platform for adults with glioblastoma' and 'new funding for [ANZCHOG] clinical trial centres and support [for] the consolidation of the national ZERO Children’s Cancer initiative'. 5.200 During the course of the inquiry, the committee received evidence that specifically identified the US Recalcitrant Cancer Research Act of 2012 (the Act) as an example of how governments can work to increase survival rates for LSR cancers. 5.201 The Act '[a]mends the Public Health Service Act to require the Director of the National Cancer Institute (NCI) to develop a scientific framework for research on recalcitrant cancers (cancer with a 5-year relative survival rate below 50%)'. recommendations for actions to advance research and for appropriate benchmarks to measure progress on achieving such actions. Requires the Director to develop the framework within 18 months and review and update it every 5 years. ...to identify within 6 months 2 or more recalcitrant cancers that have a 5-year relative survival rate of less than 20%, and are estimated to cause the death of at least 30,000 individuals in the [US] per year. Authorizes the Director to identify additional such cancers and to consider additional metrics of progress (such as incidence and mortality rates) against such cancer. ...to convene a working group for each identified cancer to provide expertise on, and assist in developing, a scientific framework under this Act. ...to consider each relevant scientific framework developed under this Act when making recommendations for exception funding for grant applications. A man named Jonathan Agin, who lost a small daughter to a kind of brain cancer with no treatment at all, has been a vocal critic both of the Act and of the NCI. When he met with representatives of NCI to argue for more funding of children’s cancers, he was told that funding allocation does not matter, because discoveries in the lab often apply to many cancers. It’s also the case that the head of the NCI, Dr. Harold Varmus, is unhappy with the law because he believes it ties the hands of scientists to determine how money is spent. But others are unhappy with NCI and think there should be less emphasis on the search for cures and more emphasis on prevention. NCI’s annual budget requests include billions for research and treatment, but usually less than $300,000 for prevention and control. It is argued we are likely to have better results putting money into preventing cancers to begin with rather than continuing to sink nearly all of our anti-cancer money into looking for cures. ...an example of how legislative change can support meaningful coordinated effort to improve outcomes for cancer with low survival rates. It guides not only the establishment of priority frameworks, but the accountability mechanisms required to ensure progress, public availability requirements and how frameworks should be utilised to inform funding decisions. 5.206 The Pancare Foundation also advocated for a national government commitment mirroring the approach taken in the US, and commended the approach to improving survival rates for pancreatic cancer currently under development in the UK. Mr Barry Westhorpe, Chief Executive Officer of the Pancare Foundation, informed the committee that the UK All-Parliamentary Group on Pancreatic Cancer is looking at 'terms of reference based on a framework similar to the US model, not regulatory as such'. ...the Department of Health was instructed to set up a task and finish working group to look at this issue. That working group has been taking evidence for probably about six months now, and the report is due out...there have been inputs to that across the board from drug discovery symptoms and various other things. 5.208 TBTC suggested that the work of this committee 'will be a similar sort of piece' to what is currently happening in the UK in respect of brain cancer. The UK report is yet to be published. A national strategy for all LSR cancers? 5.209 As discussed earlier, the National Cancer Work Plan has no specific reference to LSR cancers. Further, LSR cancers were not identified as a specific priority of the NCERG for the 2016–2017 financial year. As the Low Survival Cancers Alliance has observed, Cancer Australia's Strategic Plan contains no focus on LSR cancers, supporting the Alliance's statement that 'there has been no ownership for responsibility for low survival cancers research at a Federal or state level'. 5.210 Indeed, while COAG did consider a National Rare Diseases Plan in 2013, a recommendation for such a plan was ultimately not supported. 5.211 A number of submitters and witnesses called for a plan or strategy to be established specifically to improve survival rates for LSR cancers. Some of these proposals are discussed in the following section. 5.212 As the Pancare Foundation highlighted, 'there isn't a national strategic plan to increase survival, nor a definition on what constitutes cancers with low survival rates'. It was submitted that, in terms of research, '[t]his translates into uncoordinated plans instead of a long term, national coordinated approach across the government, medical, health and research communities'. This will minimise duplication of efforts and reduce the highly bureaucratic and administrative overhead of research/grant application and reporting. Funding agencies should also partner to fund like-areas and capitalise on the economies of scale afforded by the joint funding. A particular study found that the time spent to prepare for NHMRC proposal translated into annual salary costs of $66 million. Furthermore, as success rates of NHMRC grant proposal outcomes are historically 20-25%, there are large opportunity costs in lost research output. We need a firm, coordinated plan around this mission. Whilst more money for research is important, it is also important that the delivery and allocation of this money when it comes is coordinated, working to a clear, agreed plan based on our mission, hopefully, both here and internationally. Australia needs to work to its strengths, do what it does well and not repeat what is being done elsewhere. It is unlikely that Australia alone will cure brain cancer, but it can and should play its part. Such a document, co-designed by key cancer survivors, researchers and health care providers, would provide greater transparency of the focus and priorities for research funding. In the absence of a national plan, the current model of funding is not equitable in allocating funding to cancers with low survival rates and has resulted in a limited evidence base for these cancers. A National Cancer Research Plan should embed funding into cancers with low survival rates and require the establishment of a register for each cancer. This should include funding for the multiple and cumulative reasons for low survivor rates, for example, late or incorrect diagnosis, lack of access to appropriate therapies and clinical expertise, the very limited number of clinical studies due to the small number of patients and the apparent lack of interest in developing new therapies due to market limitations. A national plan should include targets for research into cancers which currently have low survival rates, while at the same time providing a national focus for research into all cancers. A national plan should also support collaborative, baseline work, so necessary in identifying and prioritising gaps in research with consumers, researchers and health care providers to set research actions plans for cancers with low survival rates. Annual reporting to Parliament on progress towards targets in the plan should be mandatory. In addition it is recommended that the Australian Institute of Health and Welfare establish routine reporting of the category 'cancers with low survival rates' to collectively report on the incidence and overall proportion of mortality contributed by this group, and to track positive or adverse changes within this group. It is also suggested that as part of this reporting rare cancers and higher incidence, but low survival cancers, are separately reported. A National Cancer Research Plan and associated registry could provide information to the public about sites where research into cancers with low survival rates is occurring so that cancer survivors, their carers and the public can access information about treatment options, and cancer researchers can see opportunities for collaboration and/or innovation. Cancer Voices believes a new funding model [should] address identified unmet needs and move away from clinical trials that propose marginal improvement in care, particularly as more subsets of cancers are identified. ...a scientific framework or multiple frameworks to guide the conduct and funding of research for the cancers with both low survival rates and low representation in funding distributions to date. As an organisation, the NHMRC may be best placed to develop such a framework given its prominent role in shaping the Australian medical research landscape and working collaboratively to establish nationally applicable frameworks such as the 2007 National Statement on Ethical Conduct in Human Research. 5.217 CanTeen Australia considered that a collaborative, representative body could achieve a national strategy for improving outcomes for LSR cancers, and outlined that such a strategy would assist the NHMRC and MRFF in setting their funding priorities. 5.218 Similar to CVA, CanTeen Australia advocated for a new framework that 'could include clear accountability mechanisms for monitoring progress on the strategy and similar requirements for public availability of these strategies'. 5.219 The committee welcomes the government's recent funding announcements, and is particularly encouraged by the investment of $100 million for a 10 year plan to increase the survival rates for brain cancer. This illustrates the government's understanding that funding for research is inextricably linked to increasing survival rates for cancers. 5.220 The committee is concerned, however, by the continued absence of explicit recognition of LSR cancers, in terms of funding and in government plans to address cancer in Australia. 5.221 As a result, the committee considers it necessary for a comprehensive Australia-wide strategy to be developed and implemented to address LSR cancers, with the explicit goal of increasing the 5-year survival rates for LSR cancers to above 50 per cent by 2027. The development of such a strategy will require the participation and commitment of the federal, state and territory governments, and could be developed via the NCERG and COAG. 5.222 The development of an Australian strategy to improve survival rates for LSR cancers should take into account the recommendations in this report; must consult with medical researchers, clinicians, patients and patient groups; and consider the roles of research, early diagnosis and access to medicines. International approaches, such as the Recalcitrant Cancer Research Act of 2012 (US), should also be considered and an assessment made as to whether similar legislation is appropriate in the Australian context. 5.224 The committee further recommends that annual progress reports on the development and implementation of an Australian strategy to improve survival rates for LSR cancers are provided to COAG's Health Council and made publicly available.